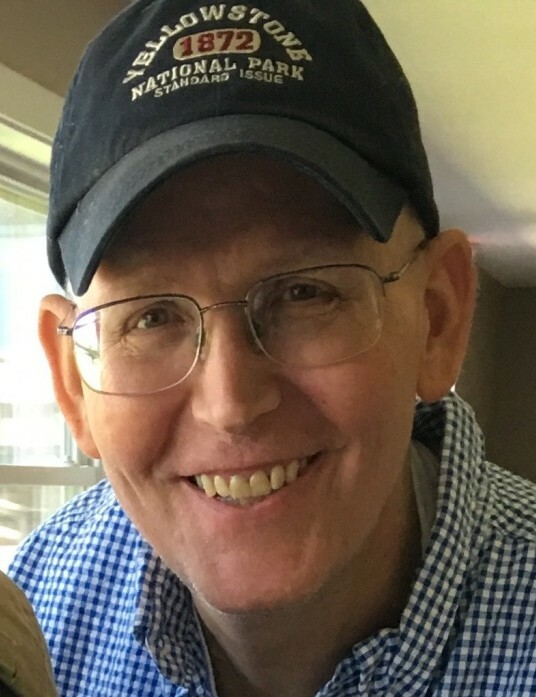 Andrew Lee Karnitz, age 53, died Thursday, January 31, 2019. Andy is survived by his mother, Molly O’Toole (Steve) Parker, father Terry (Sue) Karnitz, his offspring Brendan/Fiona Plumstead, his sister Amy Karnitz, Amy’s son Jace Jones, daughter Diandra Jones and great niece Riley Jones. Andy is also survived by Fiona’s family, Nan Plumstead, Angie McIntosh, and Jordan Plumstead. Innumerable O’Toole and Karnitz aunts, uncles and cousins also survived. Andy loved his nieces and nephews and prided himself in finding the best possible birthday and Christmas gifts for all of them. He was a die-hard liberal who believed in social justice and equal rights for everyone on this planet. He loved to discuss current events, world history, and the state of our republic. He also relished spending time helping the less-informed users of the internet. He was an avid sports fan. The Green Bay Packers and Manchester United were his passion. He loved his music and movies. Andy led a simple, happy life, doing the things he loved best. Everyone one who knew Andy recognized that he was a man who marched to his own drummer and, for all of us who loved him, that was fine, though we occasionally rolled our eyes at his long winded conversations. He will be greatly missed by friends and family. Intrahepatric Cholangiocarcinoma (bile duct cancer), was the cause of Andy’s death. He “managed” his cancer for over three years, long past his six month prognosis. And for that we thank the staff of the Lacks Cancer Center and Dr. Vaibhav Sahai and his research team at the University of Michigan. At Andy’s request cremation has taken place and there will be no funeral service. In lieu of flowers, donations to support the Vaibhav Sahai Research Fund would be appreciated. Checks may be made to “University of Michigan” and sent to Medical Development, 1000 Oakbrook, Suite 100, Ann Arbor, MI 48104. You may visit the website victors.us/andrewkarnitz to make your gift.